Stop going to these Churches! These Yahoo Boys are not pastors, they are scamming you! Foolish people, when they can't read the bible, how would they know that they are perishing because of their ignorance! 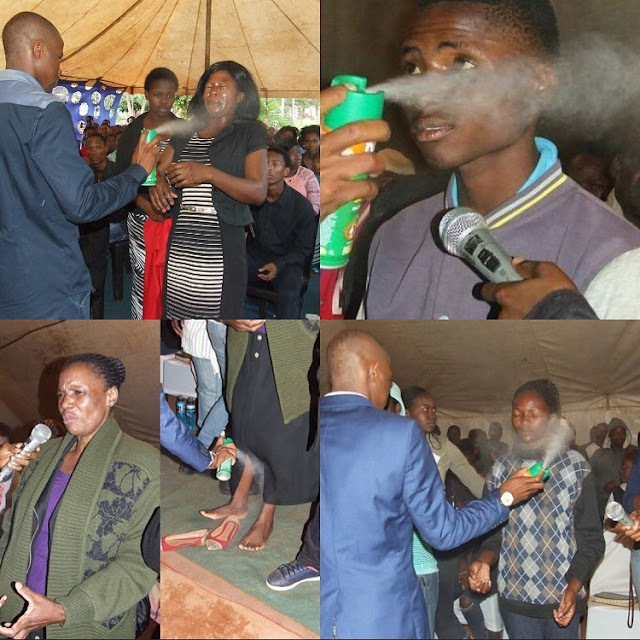 This yahoo boy is spraying pesticide saying it would heal his congregation! It is better to sit at home than to go to a mumu church like this! Read your bible.... Stop being naive and foolish.. ---------------------------- Proverbs chapter 1 verse 22: "How long, you simpletons, will you insist on being simpleminded? How long will you mockers relish your mocking? How long will you fools hate knowledge?"